Ring in the new year by shedding old habits, negative energies, and patterns of thinking that are holding you back from achieving the health, happiness, and overall well-being that you deserve. Experience all of the sacred ceremonial plant medicines we have to offer, and help us welcome the year ahead as our lighter, brighter, more authentic selves. answered during an introductory information session. Dinner will be served around 6:30 pm and after that you will have a night of visionary cinema. The next morning at sunrise, you will begin with a meditation session to prepare you for the week ahead. At 8:00 you will have breakfast and after that a hike to visit the impressive Maras Salt Mines that are conveniently located close to the center, used since the Incan period. Prior to the Ceremony, you will meet with the Shaman (and translator) to discuss your intentions and your ideal outcomes from your Ayahuasca experience. The medicine of Rapé, offered also prior to the Ceremony, is a powerful and potent blend of ground tobacco. It is considered a traditional medicine with a multitude of physical and spiritual benefits. The "medicine of air and fire” blend is blown up the nostrils to facilitate a clearing of emotional, physical, and spiritual blockages, enabling a thorough grounding and centering of the recipient. It also clears the sinuses and has incredible antimicrobial benefits for the nasal passages. 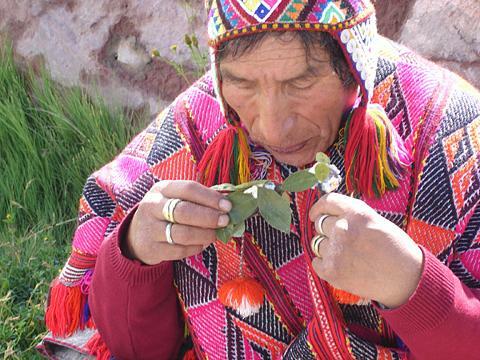 The ceremony connects you to the sacredness of tobacco, a powerful plant ally of Ayahuasca. Our Shipibo shamans will guide you as you begin your healing journey and integrate your intentions into the personalized icaros (songs of the master plants) that they sing directly to you during the ceremony. In the afternoon you will have a yoga session to relax your mind and body preparing you for the ceremony ahead which starts at 7:30 pm. We begin this day with a morning meditation to close the current year and welcome the year ahead, with a new perspective and a clean slate, radiating love for all things in this meditation session and beyond. The morning after the ceremony provides an opportunity to share your experience with the Shaman and the group, which can help you gain clarity, integrate your lessons, and set your intention for the next ceremony. While all activities are completely optional, we find that sharing your experience and learning from others’ ceremonies can be a vital and extremely profound part of the healing process. Many guests claim that the new perspectives gained during group shares were as powerful as the ceremonies themselves. Private consultations with Shaman and facilitators are also possible for more sensitive healing or issues that feel too personal to share with the group. renewed, and revitalized to continue your work with the medicines. 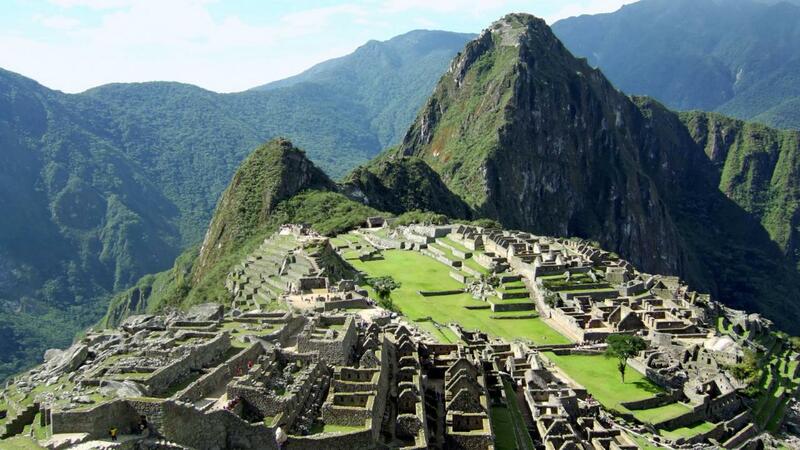 On the fourth day we will journey to the ancient city of Machu Picchu, one of the great Wonders of the World. Just two hours by scenic train ride, we’ll arrive in Aguas Calientes (also known as Machu Picchu village). During this excursion, you will be accompanied by your professional English-speaking guide with in-depth knowledge of the ancient Inca civilization, Machu Picchu and Peru’s history. Many people find his knowledge to be of significant effect on the Machu Picchu experience. You will spend the afternoon visiting the archaeological site and will return in the evening to the Center for dinner. In the morning, we’ll start the day with a sunrise meditation followed by breakfast. During the morning you will visit the nearby town of Ollantaytambo, an ancient fortress city, an archaeological site. You will have a few hours to walk around the town, do some shopping and visit what's known as Ñaupa Iglesia, a small cave carved in the mountain. You will head back to the center for lunch followed by afternoon yoga and a sound healing session. In the evening you will have your 3rd Ayahuasca Ceremony. Thursday morning will start with breakfast followed by group share to discuss the ceremony of the night before. After group share the group will head out to visit the quaint little town of Pisac known for its colorful Thursday market. On the way to Pisac, we will stop to visit Urco, an old Incan city, and then a wildlife refuge Sanctuary, home of rehabilitated condors. Later on we will arrive at the Pisac market, where people from all neighboring towns come to trade food, and a beautiful selection of Andean arts and crafts. This is the perfect opportunity to see a bit of local culture while buying presents and souvenirs for your loved ones back home. You will have a few hours to do some shopping and enjoy the local delicacies of the Andes. In the afternoon you will head back to the Center where you will have another yoga session and your final Ayahuasca Ceremony. In the evening, you’ll be invited for a fire ceremony and dinner where there will be singing around the fire. After breakfast and a final group share, the facilitators will discuss tips and advice for integration back home. They will share stories, go over potential challenges, and answer any questions you may have, in order to best prepare you to carry your lessons back home with you and act upon them. The group will head back to Cusco dropping guests off at the airport around 11 am or at the city for those that want to spend some extra time on their own discovering the many sites the city has to offer. Thank you for joining us for this life changing adventure! Ayahuasca is a powerful medicine that offers us the opportunity to understand our true nature, by shining a light onto our darkness, and holding a mirror up to our fears, negative thought patterns, and self-limiting beliefs. We provide the environment and expertise of a team of highly skilled, loving, compassionate Shamans and facilitators to guide you through the process of awakening, choosing differently, healing, and expanding. It is a slow but steady path towards freedom –from fear, from illusion, from self-constructed boundaries –resulting in a lighter, brighter, more authentic self, and the full experience of love. Pick up to the Center is free at the Cusco airport at 11:30 am and there will be a taxi driver arriving around 11:00 who will be holding a sign which says "Arkana Spiritual Center". If you miss your pick-up time, you will have to contact us to call you a taxi, which you will have to pay for (cost will be about $35, or 100 Soles.) You will have to pay in Soles -exchange money at the airport.